When it comes to fire safety, occupied buildings will naturally be your highest priority. 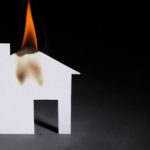 Whether they are inhabited by your employees, tenants, or yourself, there obviously need to be safeguards in place in case a fire breaks out in such properties so that everyone can get out safely. What you might not think about, though, is the need for fire safety in empty buildings. While there may not be such an immediate threat to human life, the consequences of such an incident can still be devastating. Most significantly, it could cost a huge amount of money to repair the destruction caused, especially if there is any structural damage done. In addition, if the property is close to other buildings- especially houses- then you could still be putting people’s lives at risk if you do not take the right fire safety steps. Fires in empty buildings are far more common than you might think, too. On average, around 9,000 fires break out in such properties each year in the UK. Why exactly is this the case? While we might think of fires as being mostly caused by human activity, an astonishing 15% of them are due to pest infestations. Animals like rats of squirrels can gnaw through electricity cables of gas pipes which often leads to catastrophe. This risk is even greater in empty buildings since there will be no one to spot the pest problem until it is too late. This is all the more reason to take fire safety seriously in these locations so that if the worst does happen, the issue can be detected and dealt with before it spreads. Empty buildings also pose a tempting target for all sorts of undesirables. 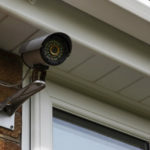 From squatters, drug users, and petty thieves to career criminals, your property could be at risk if you do not have the proper security systems in place. For instance, many drug users will seek out a secluded spot where they can either deal or take these drugs without being bothered by the police. Naturally, a building which is otherwise unoccupied is ideal for these purposes, especially since they may be able to come back multiple times before anyone notices a disturbance. 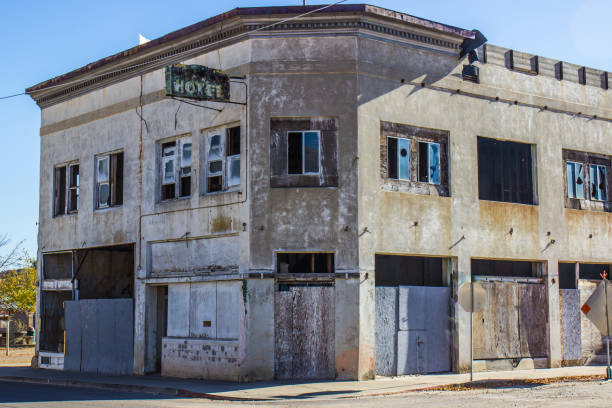 Others may seek to stay in the empty building either temporarily or indefinitely, and it can be very difficult to deal with these squatters once they have set up camp inside. You should be especially concerned if there are any valuables in the property, as these will be an easy target for any burglars. Most importantly for our purposes, though, is the risk of arson in empty buildings. Some arsonists strike because of pyromania- the uncontrollable urge to start fires and watch things burn. Others, though, simply act out of boredom. They have nothing to do except cause hassle for other people, and setting an empty building alight, in their eyes, is better than burning down a property with people inside. For the owner, though, this is small consolation. You will still have to deal with the consequences of an arson attack, and if your insurance company decides you are at fault due to negligence, then you will have to cover the cost of repairs, too. Depending on your individual situation, you may have legal obligations to meet concerning fire safety if you own an unoccupied building. Regardless, it is still highly recommended that you adhere to the following key fire safety precautions. As well as protecting your property, this could also help to keep your insurance premiums down, since insurers like to see that you are taking fire safety seriously. The first and most obvious piece of equipment you’ll need is an effective fire alarm system. Detection is key when it comes to fire safety, since the faster a potential fire is spotted, the quicker it can be dealt with. For empty buildings, we recommend that you have your fire alarm system linked up to your local fire station to help them act as fast as possible. SSH Fire & Security will be happy to do this for you as part of our commercial fire alarm service to give you that extra peace of mind that your property is being taken care of. In addition, it’s a smart idea to also install a monitored security system in any property which will be empty for long periods at a time. If no one enters the empty building, then obviously you will have no idea about any criminal activity that may be taking place there. On the other hand, we can keep an eye on the premises from our dedicated monitoring system. With wide-angle cameras and moving surveillance equipment placed in the optimal locations, our team will be able to watch over every inch of your empty building. If they spot anyone acting suspiciously, they can alert the police with a touch of a button. It’s not just criminals that can be detected with these monitored security systems, either. Should a fire break out, it is possible to spot it on camera before the alarm system registers the smoke or heat- buying the fire brigade vital extra minutes to act. Don’t leave your empty building at risk of a fire. If you don’t take the right steps towards comprehensive fire safety, then the first you will know of a blaze will be smoke pouring out of the windows. Instead of letting this happen, come to SSH Fire & Security for all of your fire safety needs. We can install top-of-the-range equipment that not only keeps you compliant with your insurers but also gives you extra reassurance that you are prepared for the worst. Best of all, we are happy to offer a FREE, no-obligation survey to anyone interested in what we have to offer. We’ll show you first-hand why so many other businesses and homeowners count on us to keep their property safe. 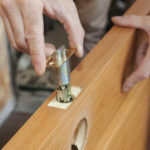 Simply call us today on 0808 164 0280– we’ll be more than happy to help!